Our friends at the HBS Club of Charlotte are hosting this event. Register now - you won't want to miss out on this insightful discussion! Join us for a presentation by Bill Lovette, CEO and President Pilgrim's Pride Corporation and HBS AMP alumnus, as he shares information regarding the current state of our agriculture industry, how it continues to transform to address consumer needs, and its economic implications. Please bring a valid form of identification to enter the building. Bill Lovette joined Pilgrim’s as Chief Executive Officer and President on January 3, 2011. Mr. Lovette has served as a Director of Pilgrim’s Pride Corporation since February 21, 2011. He brings more than 30 years of industry leadership experience to Pilgrim’s. He previously served as President and Chief Operating Officer of Case Foods, Inc. from October 2008 to December 2010. 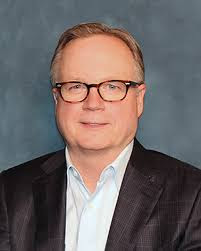 Before joining Case Foods, Inc., Mr. Lovette spent 25 years with Tyson Foods Inc. in various roles in senior management, including President of its International Business Unit, President of its Foodservice Business Unit and Senior Group Vice President of Poultry and Prepared Foods. Mr. Lovette earned a B.S. degree from Texas A&M University. In addition, he is a graduate of Harvard Business School’s Advanced Management Program. Mr. Lovette grew up in a family poultry business, which became the Holly Farms Corporation. Through his formative years, he worked in virtually all aspects of the business including farm labor and management on his family’s broiler farm, catching chickens, working in all areas of a processing plant during summers, working as a customer service representative and as a trading floor clerk on the Chicago Board of Trade. Mr. Lovette’s experience learned over a lifetime in the industry enables him to offer a valuable insight on the business, financial and regulatory issues currently being faced by the poultry industry. Cost: $25 per person. Note: Joseph Wharton Members should purchase their individual member ticket via the Wharton Club website. All other Wharton Club members, guests, and non-members should register via the HBS Club link posted below.